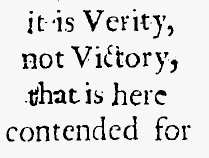 Home > 1689 federalism, John Owen, new covenant	> Owen: New Covenant Conditional or Absolute? John Owen —“The word condition is nowhere used in the scripture in this matter; which I argue no farther, but that we have no certain rule or standard to try and measure its signification by. Wherefore it cannot first be introduced in what sense men please, and then that sense turned into argument for other ends. For thus on a supposed concession, that it is the condition of our justification, some heighten it into a subordinate righteousness, imputed unto us, antecedently as I suppose, unto the imputation of the righteousness of Christ in any sense, whereof it is the condition. And some who PRETEND to lessen its efficiency or dignity in the use of it in our justification say, it is only causa sine qua non, which leaves us at as great an uncertainty as to the nature and efficacy of this condition as we were before. Nor is the true sense of things at all illustrated, but rather darkened by such notions” (5: 113). Is “this” covenant the new covenant or the covenant with Abraham? New Covenant. Sounds like Shearer is not familiar with 1689 Federalism, but I haven’t had a chance to read that essay in whole yet. I spoke too soon. Just had a chance to read his first section on Covenant. He has clearly read Coxe and Owen. However, he seems a bit muddy on the Abrahamic Covenant. He seems to me to, at the very least, be too accomodating to paedobaptists and too eager to use some of their formulations and perspective, to build rhetorical common ground. The result is some unclear or mistaken statements about the Abrahamic covenant. The Covenant of Circumcision never defined the church, as he says it used to. But he does have other good things to say that are helpful. Oh, and I should qualify my statement above. “This covenant” in 2LBCF 7.2 refers to “the covenant of grace.” So the language of the confession is written broadly enough to allow differing views on what constitutes the covenant of grace. But according to Coxe and 1689 Federalism, “this covenant” of grace is the New Covenant. “Too accomodating to paedobaptists and too eager to use some of their formulations and perspective, to build rhetorical common ground.” Amen to that, though it could be that Shearer is simply untaught about confessional continuities (and distinctions) with “anabaptist” confessions of faith, The London Baptists were not only wanting to avoid persecution, but also genuinely convinced of the legitimacy of Christians being magistrates, with “natural law” as the standard. Shearer is too ready to agree with Gibson that water is God’s “common grace “given”. (Marilynne Robinson’s novel Gilead: ‘A touch of water and these children are given the whole of life.’) But this so-called ” objective grace” turns out to be something that can mutate into curse. Gibson— ‘Without faith, with grace spurned, the sign of covenant blessings becomes the promise of covenant curses. from Mike Horton’s review of Kingdom Through Covenant —Horton perceives a need for threats to those in the covenant—-Hebrews 6 assumes a category of covenant members who are in some sense beneficiaries of the Spirit’s common work…. they have fallen away from the new covenant, reverting to the old. “For land that has drunk the rain that often falls on it, and produces a crop useful to those for whose sake it is cultivated, receives a blessing from God. But if it bears thorns and thistles, it is worthless and near to being cursed, and its end is to be burned” (Hebrews 6: 7-8). Through their covenant membership they have shared in God’s COMMON GRACE, and now, if they respond in unbelief, they will bear the curses of the new covenant. We must account for this category of common covenant beneficiaries of grace who spurn the objective COMMON GRACE delivered to them and fall away. If our theological system cannot account for this third group—not elect BUT NOT WITHOUT COVENANT GRACE EITHER–then we need a different theological paradigm. Mike Horton—It’s covenant theology that accounts for this tertium quid between “foreigners to the covenant” and “elect members.” Some non-elect share the new covenant in common with the elect. In fact, the warning is emphatic in Hebrews 10 against “the one who has spurned the Son of God, and has profaned the blood of the covenant by which he was sanctified.” All of this fits well with Jesus’s distinction in his parables between a seed that at first begins to grow but is choked by weeds, or weeds sown among the wheat.